Ever since my teenage years, one thing that kept bothering me consistently was pimples and skin break-outs. Now that I’m long past my teens, the “pimples” have only modified into “acne”. My mother always made a paste of cloves and basil leaves to soothe my pimples back then. But now, my ever-so-busy schedule renders no time for such elaborate beauty regimes, thus resorting to different products claiming natural ingredients. 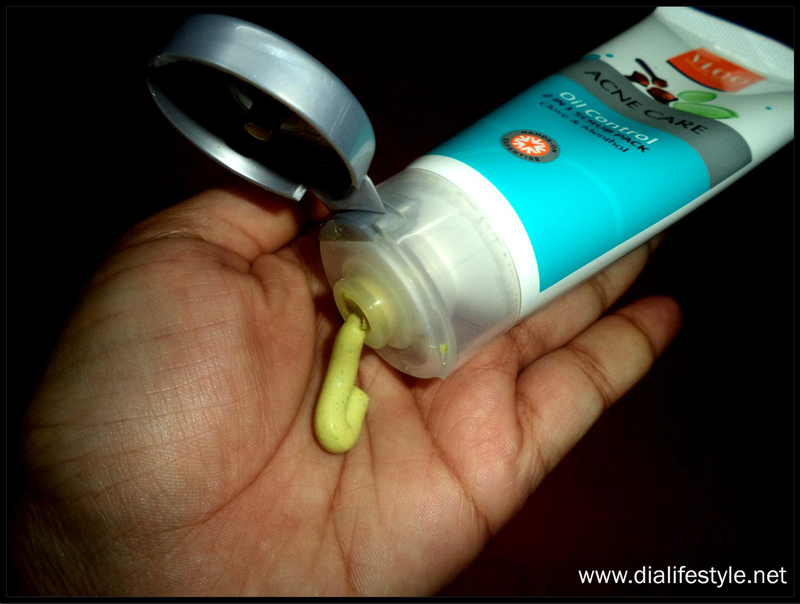 It was during one such product-hunts when I came across this Acne Care 2 in 1 scrub pack. This exfoliates skin, lifts excess oil, dirt and impurities to leave skin naturally refreshed. Face pack absorbs excess oil and greasiness from the skin surface and scrub removes deep-seated dirt and grime from open pores. It comes in a standard tube packaging. The scrub is slightly greenish in color and the texture is to the smoother side. The 50g pack comes at a super affordable price of 75INR. Although the scrub does not give a granular texture, the menthol feel is extremely soothing to the skin. 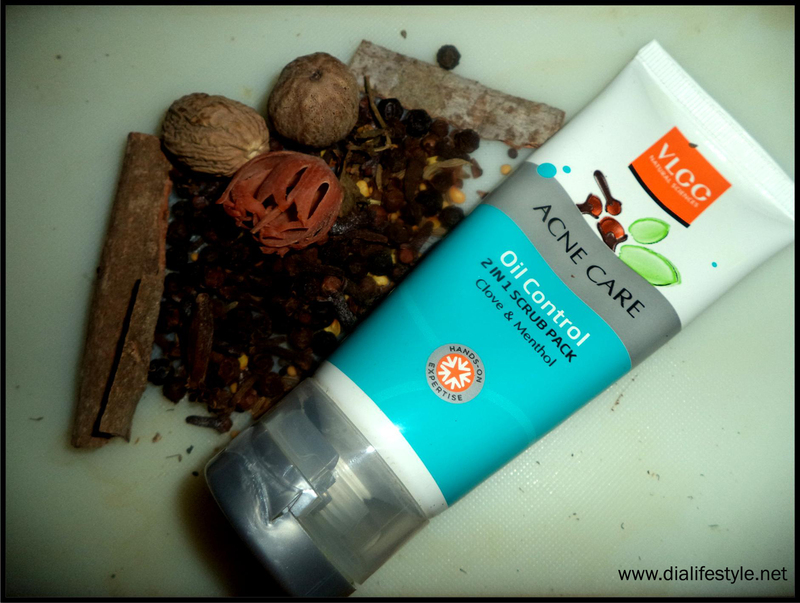 The clove helps curing acne and gives a fresh feeling to the skin. I use this following my Neem face wash. So I believe a combined effect has been helping me fight skin break-outs. My final verdict would be: Go for it! Stay tuned for my favorite blogger of this month. Till then, keep commenting and stay stylish.